Why do some neighborhoods provide greater economic opportunity? 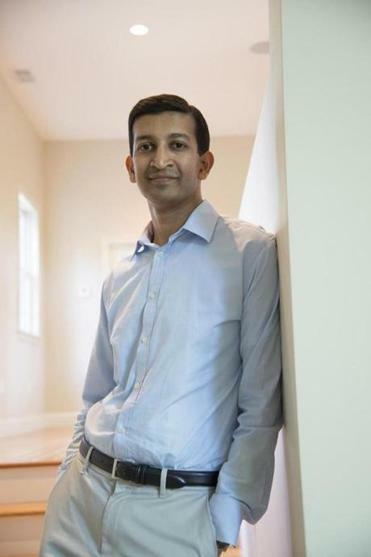 Harvard’s Raj Chetty is one of the most celebrated economists of his generation, an expert on economic opportunity — or the lack thereof. Along with two gifted peers, he has turned his attention to a comprehensive national analysis of who gets ahead and why. Known as Opportunity Atlas, it provides a powerful tool for looking at the factors that shape economic mobility — an especially important topic in cities like Boston that are in the midst of economic transformation. Chetty comes by his interest in the subject organically. Along with his parents, he emigrated from New Delhi to Milwaukee when he was 9. The door to opportunity opened for him when he became a student at an elite local prep school. That meant a daily bus ride across the city but also a trip into a different world. Now 39, Chetty is the recipient of a MacArthur Foundation Genius Grant, along with some of his field’s highest honors. He recently joined the faculty at Harvard, his alma mater. Along with fellow economists Nathaniel Hendren and John Friedman (of Brown University) he has launched a project to dig deeply into inequality. The Opportunity Atlas website shows, census tract by census tract, how income breaks down by race, gender, and other factors. It will show you, for example, that African-American males from Malden and Medford tend to outearn those who grow up in Savin Hill — and that both groups outearn African-American males who grew up in Jamaica Plain. But the ambition of the project runs far deeper. He and his colleagues hope to identify the factors that lead to mobility, so that the people who make public policy can make smarter long-term decisions. What separates neighborhoods where low-income residents can advance from those where they don’t seem to? Good schools are part of the answer. But, in fact, a lot of the explanation is social. “When we look across cities, we find that places that are segregated have less opportunity,” Chetty said. Neighborhoods with mobility tend to have strong civic life, more two-parent families, more role models. One thing the research makes clear: Rising tides do not lift all boats. In cities like Atlanta and Charlotte — places that are, in general, thriving — people who’ve grown up in low-income areas don’t seem to be advancing much at all. If anything, they are only falling farther behind. As for Boston, the research showed more economic mobility than in most cities. Still, researchers are just beginning to sort out why certain areas are better for advancement than others, and what policies could improve outcomes. This work might seem theoretical, even arcane. But people who are passionate about finding ways to address systemic, generational poverty are eagerly looking for fact-based guidance about how to tip the scales. Chetty might be surprised to learn that his team’s work is being closely followed within the Boston Housing Authority. Yet that is the case. Just ask BHA administrator Bill McGonagle. In a city in the midst of striking economic upheaval, questions of who gets ahead and who does not will become only more urgent. Addressing them will begin with a deeper understanding of the forces that prevent people from rising. Adrian Walker is a Globe columnist. He can be reached at adrian.walker@globe.com. Follow him on Twitter @Adrian_Walker.